This form is the best way to reach Wetpixel administrators. You can also use the Feedback forum to ask a question in public. Your feedback is important to us. Please be constructive in your message and include as much information about your problem or request as you can. 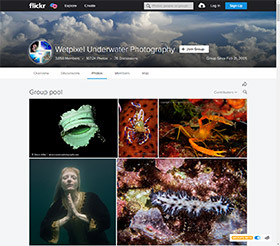 We would prefer that you do not e-mail us with questions about underwater photography or videography, as our forums are designed to be leveraged for such questions. Also, you can contact our wonderful sponsors if you want to buy underwater photography and videography gear.